Please note: This product is not suitable for an electric shower and will reduce the flow rate and pressure on your pressurised system. All shower filters do this to some extent. There is a compromise between flow rate and filtration. ✓ Super easy fitting, not tools or skills required! 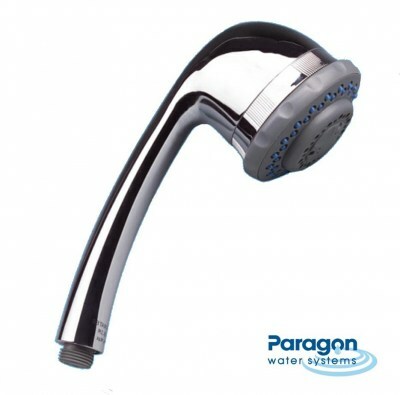 The Paragon HSF-1 is a replacement shower head built for hands on or hands free showering. 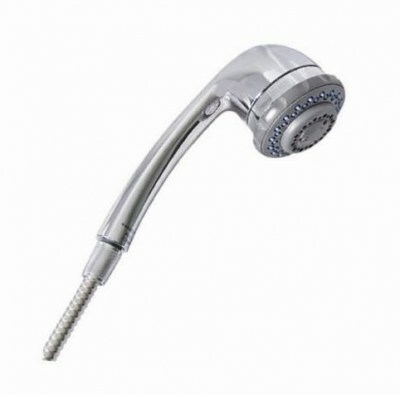 Made in a high quality chrome finish and with multiple spray settings, this shower head is not only effective, but also stylish and looks amazing in your bathroom. 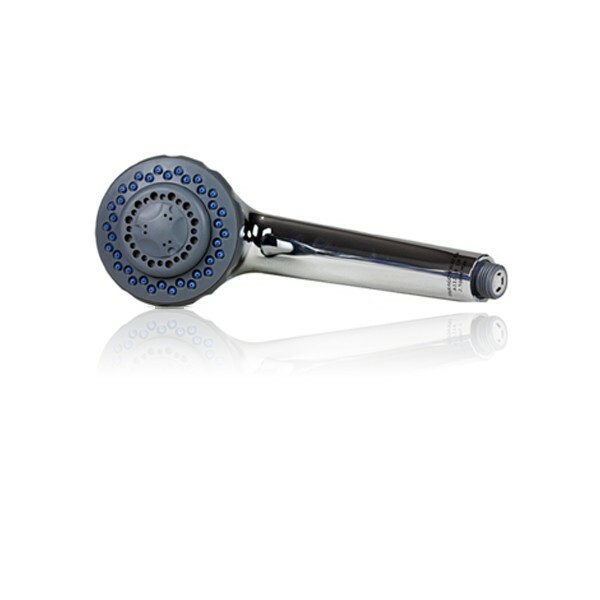 This shower filter reduces (not 100% removes) chlorine, hardness and hydrogen sulfate and restores the natural softness back into your skin, scalp and hair. Added bonuses such as long lasting and elimination of water odour and chlorine smells and taste, this is a must have edition to your bathroom! There is a easily changeable cartridge in the unit which last for 10,000 gallons and is normally replaced every 12 months. 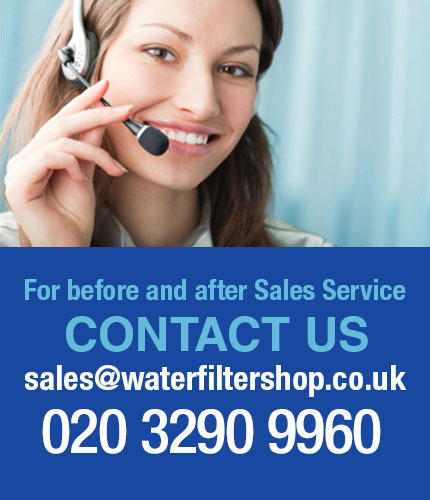 The filter lasts up to 10,000 gallons of water or one year, dependant on level of usage. It reduces 99% of all chlorine in your water as well as a reduction in hydrogen sulfate, taste and odour; thus putting the softness back into your skin and hair. 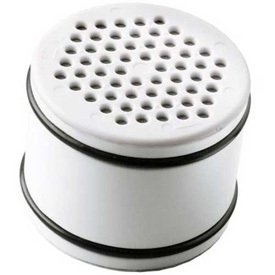 The filter cartridge also reduces calcium and soap film build up in your shower; with the added bonus of not needing as much shampoo, soap and conditioner in your daily wash.
• Reduces hydrogen sulfate and restores natural softness of hair, skin and scalp. 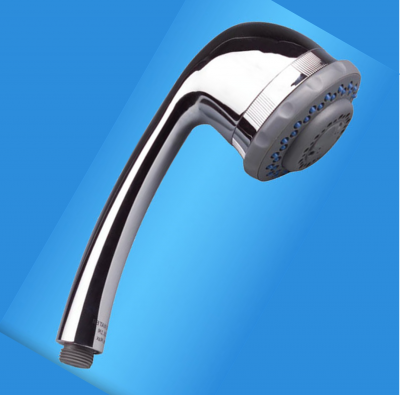 • Eliminates water odour and chlorine taste. 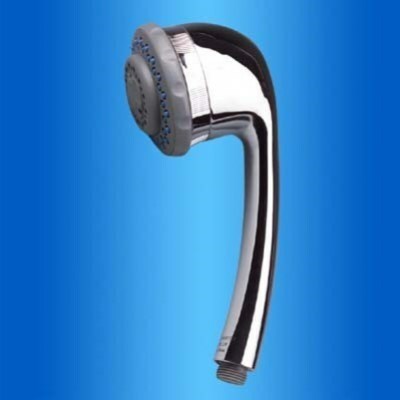 • Reduces calcium and soap film build-up in shower. • Media is NSF certified for Free Available Chlorine Reduction. Shower Head diameter: 3 1/2"
Reduces calcium and soap film build-up in shower. 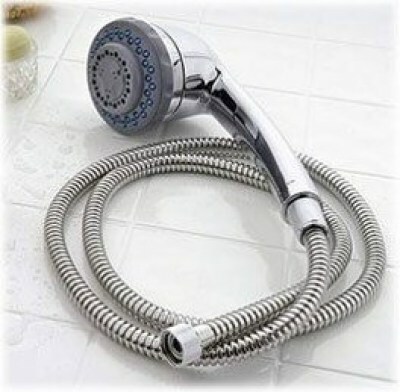 Eliminates water odor and chlorine taste. Reduces hydrogen sulfate and restores natural softness of hair, skin and scalp. Rated to Last 10,000 gallons, or 1 year.